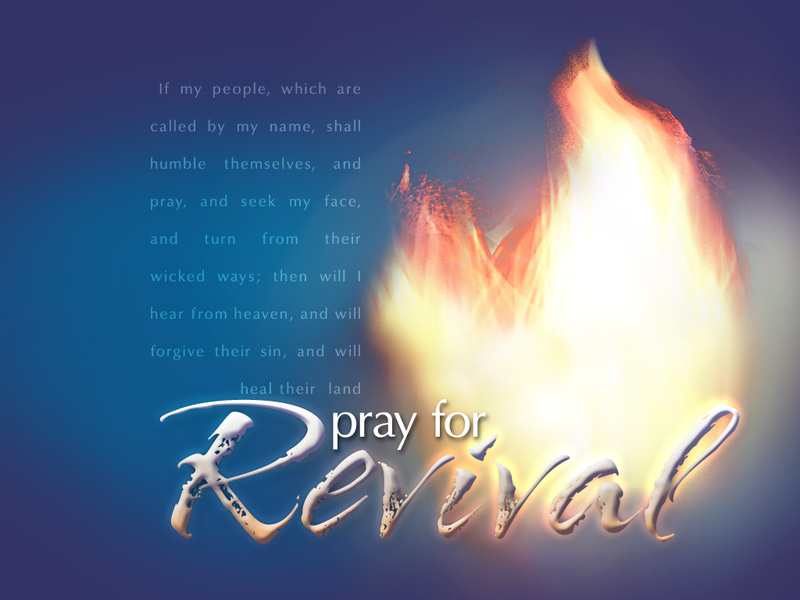 I hear many pastors and believers say: “Pray for a mighty revival.” I am all for revival, but the revival needs to start with the church first and foremost. There are many issues within the body of Christ that are conveniently swept under the carpet by many of today’s churches. The divorce rate within the church is greater than outside the church. Immorality is overlooked and sin is not addressed because “we don’t want to offend anybody”. In many ways the church has compromised with the world. really doing the Lord’s work? There are outreaches, altar calls and crusades which are good in itself and needed, but I have to ask myself the question, what are the motives? Many times I hear about big numbers of people coming forward to receive Christ on some major outreach events. “Thousands of people accepted the Lord over the weekend and they are going to heaven.” Really, how do we know? Perhaps some just come forward because of emotions and atmosphere of the rock concert like environment. Thousands of people raising their hands to praise the Lord. Personally I wish and pray that everyone that has come forward at any church or event, received Jesus as Lord and Savior. In reality, only God knows the heart. Many of our churches have missions and missionaries that go all over the world bringing the gospel to people. I love missions and many good things have been accomplished and many have come to know the Lord. We establish churches around the world, reaching out via the internet and radio. Awesome, love it! What about right here at home, in our home church? Are the pastors and others reaching out to their own congregation and see the problems of many? Many people are sick with cancer and other diseases. Some are in financial problems, had their homes foreclosed, lost their jobs and are in desperate need for help. Some person that sits next to you in the seat at church, may be spending the night in their car because they are out of a job and lost their home. I’m not downing the church, I think overall we as the church do a good job. The reason I was thinking about this in the first place, is because of a comment I received on one of my videos. This following comment made me think about all the hoopla in the church and the failure to serve our next door neighbor. I believe, this church failed horribly and was a poor witness to a person in need. This is a sad situation when you have a supposed shepherd of the flock being too busy with activities instead of ministering to a person in need of help and comfort. I think we all need to step back sometimes, (that includes me). We all need to test and examine ourselves to see if we are truly in the faith as Paul wrote. Are we reflecting the love of Jesus with our lives and deeds to others? Like so many like to say: “What would Jesus do?” What do you think Jesus would have done with this person that came to the church seeking for comfort? “For the time has come for judgment to begin at the house of God; and if it begins with us first, what will be the end of those who do not obey the gospel of God?” 1Peter 4:17. Knowledge puffs up and there are many that claim knowledge of the scriptures, prophesies and eschatology. Some quote scriptures all day long condemning and judging others. What good does all that knowledge do, if there is no love? What good does all the knowledge of scripture do, if there is no wisdom? Paul said that the greatest gift of all is love. Love for our neighbors, just as Jesus has commanded us. Jesus would not have turned this person away saying, “I’m sorry, but I AM to busy right now, come back later”. Thank you very much, nice to have an agreement with a Pastor. Some people don’t like any kind of criticism about church. I think it is needed at certain times, especially today when the coming of the Lord is so near. The judgment will start in the physical churches. The wheat and the tares. Blessings to you, Maranatha Lord Jesus. Thank you Cindy. Thanks for sharing the story on your comment. May the Lord continue to bless you. Thank you Cathy, I have received mostly positive feedbacks on my social sites about this post. Some people don’t like any kind of criticism when it comes to the church. The real church or the called out once are every believer as individual stones making up the temple of God. The buildings mean nothing (I guess Mormons would disagree with me on that one). No church is perfect and I know that, I see the inner workings in church. I also realize that we need to fellowship with one another and that we do in church, Iron sharpens Iron. Thank you for your kind comment. blessings to you. 1 john 3:11-23 explains it beautifully. does this mean we will always perform perfectly toward other christians and never grow tired, impatient or annoyed? no! it means that overall a true follower of Christ will have a heart of love for others, especially brothers and sisters. that being said, i do believe that there are some lazy christians who need to learn to do things for themselves and not expect others to take care of them. 2 thessalonians says,”those unwilling to work will not get to eat.”. so brothers and sisters should not be sponges and just expect others to provide them with charity if they are able-bodied. for example, a christian friend of mine got mad with me because i would not come over and clean her bathroom and kitchen when her son, who usually does her cleaning, was out of commission after a knee operation. i told her, no hard feelings, but you need to clean your own toilet! she is no longer speaking to me! we are not called to take up the slack for those who are lazy. your post is great and truthful. i really enjoy reading your blog and get a lot out of it! blessings! “we have to keep those who volunteer happy because we don’t have enough people to help.” If that is the case the church is over doing their activities. As you said, they can’t offend for fear of losing them. My husband and i differ on this; but the church has allowed the enemy to blind our eyes to see what needs to be taught. Personally, I have all but boycotted much of the activities our church does because I think they are not meeting the needs of shepherding. Great post. Great post. It seems lately that so many people (Pastors included) are more interested in “doing Church” than BEING the Church. There is a disturbing trend today of Churches becoming entertainment venues, complete with bouncers, and security people (usually personal assistants) restricting access to the Pastor unless you have a “backstage pass”. The Pastor should be the first one in the greeting line at the end of services, the Pastor should be able to be called 24/7 if one of his/her flock needs them. Pastors are the shepherds of the people in their Church, and what shepherd would not run to one of their sheep if it is in trouble? That is their job…… Sadly, sometimes it seems that the Pastors want to make an exit while the band is playing and drive away, then someone can announce “The Pastor has left the building”……. Thank you very much.Yes, we do need to examine ourselves, it’s easy to get caught up in “churchianity” and not see the needs of others around us. Blessings, Freddy. Yes, what you’ve said in this article are all true…It’s an urgent calling to all professing Christians to examine ourselves and see if we are truly in the “FAITH”.